Play VIC Week 2014 will be August 4th to 10th. This is now a major event with a highlight being the amazing number of local singers and bands that were offered air time during the week. There is also likely to be continued widening of genres being featured. Hello to all Stations and interested individuals on our email lists. This is an invitation for you to attend our lunch, workshops and AGM. 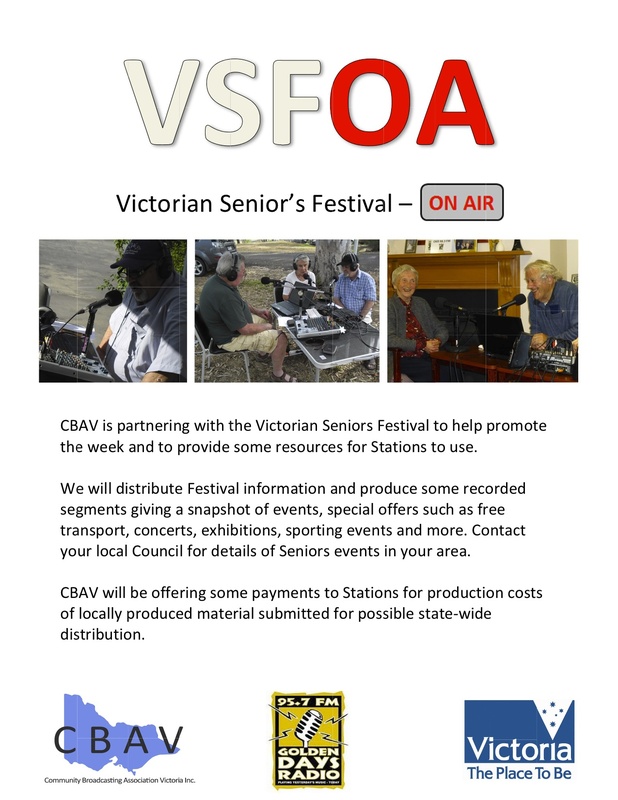 This has been sent to Stations – but we’re also sending it out to over 100 individuals on our email lists all of whom have or have had an involvement with Community Broadcasting in Victoria. If you still maintain that interest, you are also invited ! We would like to know by Thursday 17th October who are coming – for our catering purposes, as lunch is included. We believe our two keynote Community Broadcasting speakers are the two people best placed to inform us where our sector is headed at the moment. Also, please find attached documents for the AGM. These include an Agenda and information about nominating for the CBAV Committee. The Constitution specifies that the seconder of a nomination should be another Station Member which, we feel, may act as a deterrent to nomination. Our Committee has agreed that you may leave the seconder blank and we will arrange for that to be completed for you. Nominations by mail should arrive at the P.O. Box address by Friday 11th October. If there are insufficient nominations by then, positions can be filled at the meeting. The Proposer should be someone from your station (preferably Secretary or President or from your Committee). A Nomination Form is attached. If you as an individual are interested in serving on the CBAV Committee, you would need get someone in authority at your associated station to nominate you on the form (attached). As for seconding by another member station representative, we can arrange that. We also included a reminder to Stations about paying our annual fee of $50 ! That’s important if anyone plans to nominate. Stations should send that to the Secretary at PO Box 12403, 410 Elizabeth St, 3000. CBAV’s Committee often has met monthly but has had recent success with a telephone conference call and envisages a conference call meeting every second month, alternating with a physical meeting. 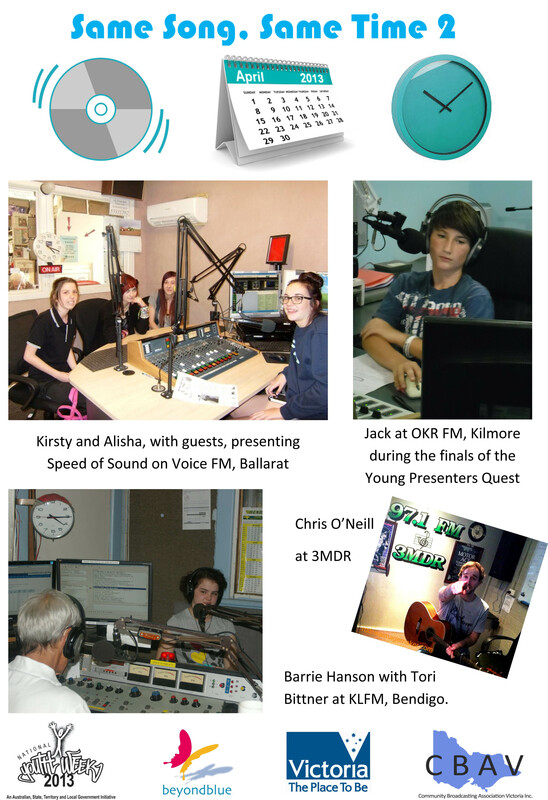 We meet at different community radio stations across the year – on Sundays or on an agreed week night. As the State Peak Body, CBAV can pursue issues on behalf of the sector, disseminate useful information, arrange meetings or seminars on relevant topics – and in 2014 will be organising a “Technorama” event for the national sector which we have done before (very successfully). Over the last two years we have launched a program of activities aimed at raising the profile of our sector, especially to government bodies, which is already proving to firm up important connections with such bodies. Those of us serving on CBAV’s Committee have found this a very worthwhile process and we would welcome any new interest in serving on the Committee. 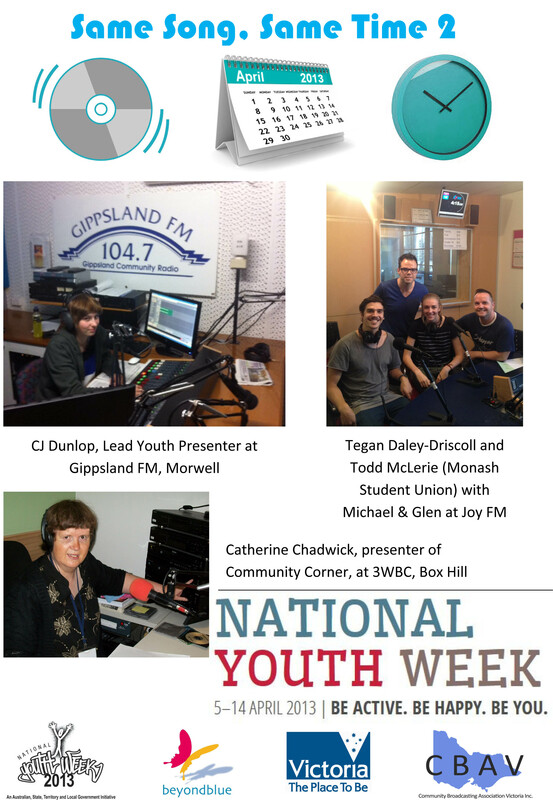 Only days to go until “Play VIC Week” on Community Radio right across Victoria. There will be Jazz, Country, Classical as well as Pop, Rock and all sorts of other styles with plenty of music live to air. Make sure to get some good photos and send them in. The email address is: cbavinc@yahoo.com.au and we’ll be paying $100 awards for the best photos and any local newspaper stories. Keep checking the Facebook page, just search – Play VIC Week, for posts from singers and bands and offers to come in for interviews or music live to air. Play VIC Week …. only days away! 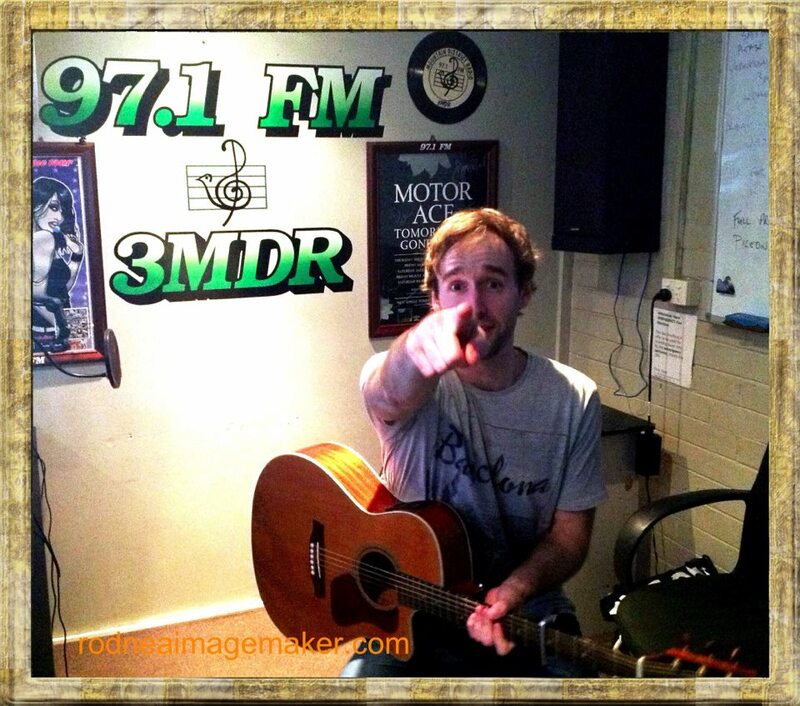 Posted in Uncategorized	| Tagged community, radio	| Comments Off on Play VIC Week …. only days away! Posted in News	| Comments Off on CBAV Newsletter April 2013 out now!